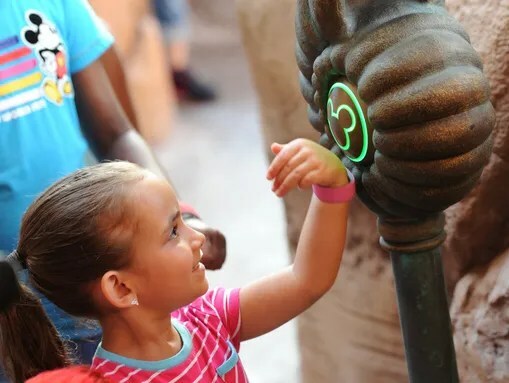 Whether you have been to the Walt Disney Resort recently or not, you have probably heard about the changes that are coming with the MyMagic+ system being implemented in the parks and resorts. It can be a really overwhelming change for people who either have never been to the park before or have been to the park many times before under the “legacy” system. It’s true that the system has gone through some growing pains so far and will continue to do so until the system is fully implemented. Remember, the system is still in testing and is not fully rolled out. In this article I will attempt to help everyone who reads it better understand the new system from the point of view of someone who works with it on a daily basis at the park and sees the issues as well as the incredible benefits of the new system. There are a number of new components to the new system: MagicBands, Memory Maker, My Disney Experience and FastPass+. I intend to make this all a lot easier for everyone to understand. I am going to start with MyDisneyExperience or MDX as it is also known as. It is the new app for smartphones that replaced the previous app called Mobile Magic. It is also the new way to plan your vacation on the Disney Parks website. It links everything together in one place that makes it easy to plan your trip as much or as little as you like. I advise using this website to plan your vacation to begin with; if you use a travel agent who is not using this site to book, get all of the confirmation numbers and create yourself an account, it will save you a lot of time when you get to the park and a Cast Member (like myself) asks you if you have one. Note: If you have any sort of account with an official Disney.com website branch like Disneystore.com, you already have a log in account, and you will just need to set it up. When it comes to this lovely new website, have one account holder for the whole party, for example, I hold the account for my whole family. This is not to say that other people can’t have Disney accounts, it just means that one person should control the planning of the major parts of the trip and maintain the main account. You don’t want to be linking resort reservations and tickets to multiple accounts, it just creates a mess. If someone you are planning with (for example more than one family) already has an account, add them to your family and friends list and then invite them to plan and share (there should be a link to do this next to their name) and type in the email address that they have associated with their own MDX account. Another really important tip for using the MDX website and app, when making your friends and family list, add everyone BUT YOURSELF! Anyone you wish to be able to make FastPass+ selections on the app or computer or make dining reservations etc, you are going to want to Invite to Plan and Share, using that link next to their name. Note: children under the age of 13 cannot be invited to plan and share. I also advise, if you have two people with the same first and last name, to make use of the suffix that you can put on the end of their name, Senior, Junior, III etc, it will prevent mishaps and confusion and enable you to keep everyone straight. You can also do this through character assignments, for example, when I pull up my account anywhere, Ariel pops up as my character. The most confusing part of this website to most people is the linking process. If you purchase everything through a package on the website, it should all be there when you book everything. If not, when you go into My Reservations and click Link Tickets, there’s a question at the top that asks if you purchased tickets as part of a resort package, if the answer is yes, then you will link the resort reservation and everything should link from there. However, if you book reservations for a resort and purchase tickets separately, fear not, they can be linked! You just have to pay attention to what you are doing when you go through the process. Basically, keep all your numbers and cards straight, and make sure you link the right tickets to the right people. If you have card tickets (they are green with characters now), definitely write names on the back and cross check the numbers with your order or with a cast member to make sure adult tickets are being linked to adults and kids tickets are being linked to kids. It matters now, as it did with the old system, who uses which ticket, because of the biometric scan (which I promise is not a finger print). If possible, do all of the linking before you go. There are numbers on the back of the tickets, pay attention to those numbers, that’s called the visual ID/ticket number. It’s not the same as the one of the back of your MagicBand if you have one. In order to go about linking the tickets to your account, make sure you know whose is whose and go to My Reservations, Link Tickets and type in the visual ID, it will then prompt you to select a guest for that ticket to be associated to. Don’t link them all to one person!! Link individual tickets to individual people. One ticket per person and associate it with their name even if you are the one who purchased it, who purchased it doesn’t actually matter. You go about linking existing dining reservations pretty much the same way, by punching in the confirmation number in the email you received or the slip you received from the resort or cast member who made the reservation for you. If you make them over the phone, write down the confirmation number and keep it somewhere you will remember. Make a list of confirmation numbers and email them to yourself if that makes it easier. My Reservations under the MyDisneyExperience tab is going to be your planning hub; it’s where you link your tickets, dining reservations, Memory Maker and resort reservations. I promise it’s not as overwhelming as it seems. If you are truly overwhelmed by the process, stop by the service center with a MyDisneyExperience Account already made but nothing linked to it (if you make reservations through someone other than Disney) and a list of confirmation numbers and tickets and a cast member will be more than happy to walk you through the process! It’s a learning curve for everyone, including the cast members so everyone is learning together. 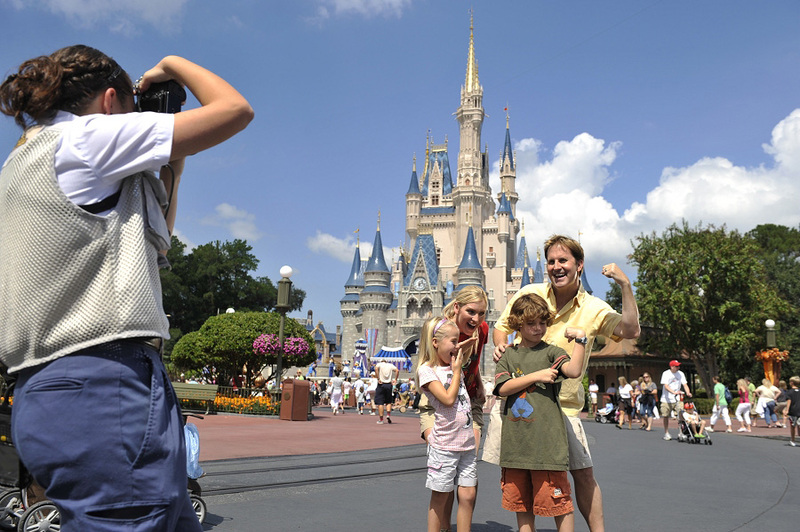 Another area of Disney vacations that has undergone some changes is PhotoPass. It used to be just one option, PhotoPass, the photographers gave you a card, you plugged the number on the card into the PhotoPass website or took it to a PhotoPass center and purchased your photos there, and if you purchased a lot of photos, it got pricey! 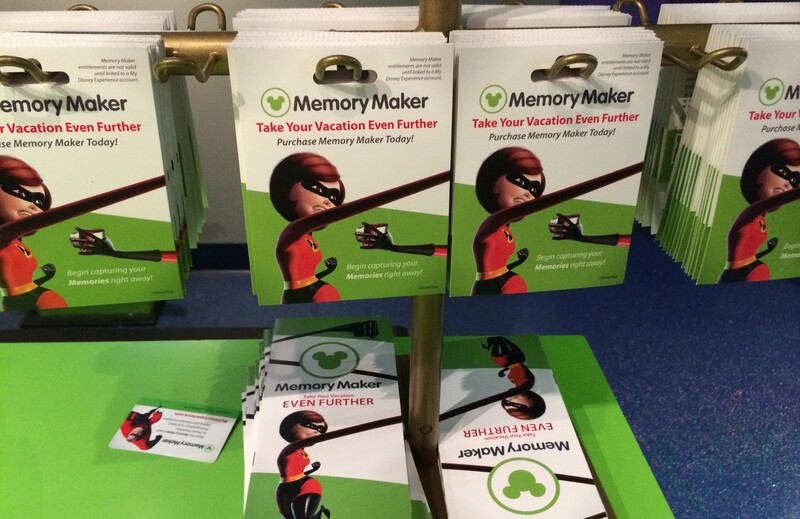 Now, you can purchase MemoryMaker and if you are staying at a Disney Resort, it will link right to your MagicBand or MemoryMaker Card if you have one of those as well and they will be linked to your MyDisneyExperience account. One person will be the primary holder of MemoryMaker, so make that person, the person who holds the account and then they can download all of the photos and share them with everyone! It does not include prints of any of the photos but you can have the photos printed after you download them. It costs $150 to purchase in advance and $200 to purchase once you get to WDW. If you purchase it at $150, it will take 36 hours to activate, so make sure it’s more than 3 days in advance. It provides you with unlimited downloads of all of your Disney Photopass and attraction photos taken while you are on your vacation, and ensures that all members of the family are actually in the photos! Note: the photos can only be viewed at a PhotoPass center or on a desk top computer/ through a browser, not through the app. MemoryMaker does not start expiring until you download your first photo. You can take as many photos as you want for as long as you want (up to 45 days) and once you download your first photo, you will have 30 days to take more photos and download the rest of them. Once a photo is taken, it will stay on your account for 45 days before it gets deleted. MemoryMaker includes all photos linked to the account, this includes attraction photos and photos linked to a card that a cast member gives you at an attraction like Enchanted Tales with Belle, Jedi Training or Captain Jack’s Pirate Tutorial!! Be sure to stop at the photo center after you ride the attraction you want the photo for and write down the number (there is usually a cast member to assist with this at the viewing area) they can then link the photo to the person who holds the MemoryMaker account. Any PhotoPass card can also be linked to your account through the number on the back of the card. Note for linking: MemoryMaker counts as a reservation and will have a confirmation number to use to link to your MDX account. Probably one of the biggest changes in the park happened to FastPass. The old system had consoles that you put your tickets into and it spit out FastPasses for the times posted above the attraction. This has undergone a HUGE makeover and is still in testing. There are now FP+ (FastPass+) kiosks located ALL OVER the park and there are more coming to accommodate more guests. Stationed at those FP+ kiosks are FP+ cast members and Guest Relations cast members who will be more than happy to assist you if you have any questions about the new system. If you are staying at a Disney Resort during your stay, you can preplan your FP+ attraction times around other things you want to do such as Bibbidi Bobbidi Boutique or Pirates’ League or dining reservations up to 60 days in advance of your arrival in WDW, and your dining reservations can be booked 180 days in advance for your whole trip. You make these selections through the MDX app on your smartphone or tablet or on the MDX website before you go. Then you will be able to view your itinerary on your phone or tablet on the go. You can make up to 3 FP+ selections per day at 1 (one) park only. Right now, due to the fact that the early phase of the rollout is still in testing, park hopping with FP+ is not yet possible, so plan accordingly. There are new things to FP+ as well…Wishes (MK fireworks), Fantasmic (DHS night time show), Illuminations (EPCOT night time show) and Main Street Electrical Parade. I personally would not FP+ these “attractions” because it uses a FP+ that you would otherwise be able to use at an actual attraction. It’s more fun to stake out a spot for these things. Note: Disney’s Hollywood Studios and EPCOT function on a tier system. Meaning that you can only FP+ one of their top attractions, for DHS this means picking one from Fantasmic! Beauty and the Beast Live on Stage, Toy Story Midway Mania (my recommendation) and Rockin Roller Coaster and for EPCOT it means picking one from Soarin, Test Track, Character Spot, Maelstrom, and Illuminations. Then for both of these two parks, you can choose two from the rest of the FP+ attraction options. The other two parks, Disney’s Animal Kingdom and Magic Kingdom do not function on a tier system, so you can choose 3 from all of the FP+ attractions. When booking FP+ in advance, you need to have already linked your resort reservation to your MDX account to ensure your eligibility to participate in the test. Day guests not staying on property can book their FP+ for the day with a FP+ cast member at any of the kiosks located throughout the park (I suggest going to Liberty Square or Storybook Circus, they are the least crowded). Once you have linked your resort reservation, go to the MDX tab at the top of the page and click on your name, it will take you to the planning page where you can click FP+ and begin the process. Pick the 3 attractions per day that you want FP+ for and then select them from the list and from there you can modify the times that you want to make them for. It will provide you with a list of attractions and corresponding times that closest matches what you want to what’s available. These are not set in stone, you can change them on the go up until the time of the fastpss. You also do not have to put everyone in the group on the same rides. It’s 3 FP+ per PERSON per day. You can set the thrill seekers to go on Space Mountain, Splash Mountain and Buzz Lightyear’s Space Ranger Spin while those who like a tamer experience can go on It’s a Small World, Journey of the Little Mermaid and Enchanted Tales with Belle. You can select which guests go on which attraction, if you only want 3 people of a party of 5 to go on Space Mountain, uncheck those who will bypass the experience and they will not be locked into that FP+ experience and can choose a different one. If heaven forbid, anything goes wrong, which if you follow these instructions and those on the page, it shouldn’t, visit a FP+ kiosk and a Guest Relations or FP+ cast member will be more than happy to assist you! That’s what we are there for! The last (and to most) the most exciting part of the new system is the MagicBands. Basically…they are your everything. You can use them just as you would your resort key or Key to the World Card and that includes charging privileges and to hold your dining plan if you have one. It also will hold MemoryMaker, tickets, and your FP+ entitlements. It stores all of the information that is on your MDX account and makes it useable. Just tap and go. They actually work with the same technology that is inside the new green tickets, that’s just a hard copy of what’s on your MagicBand. I highly suggest making your reservation for your resort far enough in advance to get the MagicBands shipped to your home (the box is really cool!) and then you can pick your color and your name will be on the inside of the band so you can keep them straight. They are customizable through decorations you can purchase at your resort and more colors and designs are coming! Right now MagicBands are only available to those guests staying at a Disney Resort but that may change in the future. If you have a MagicBand AND a green hard ticket, hold on to both just in case you lose one, because they hold the same information. Last ending tips! Make a MyDisneyExperience account: then plan your vacation, start with the account, it makes things easier! Create a folder with all communication from Disney during your planning process and before you get to FL: confirmations for dining (they include your confirmation number), purchase receipts (if hard copy, keep in wallet), resort reservation confirmations, email to yourself with username and password for MDX account, MemoryMaker reservation number. I did this and having everything in one place made everything really simple! I was also paranoid and had digital and hard copies of everything when I left! AND… now that this is a largely technology based system, definitely bring your phone charger with you to the park, there are now charging stations and trust me, you will be using your phone a lot! This entry was posted in Disney News, Disney World, Uncategorized and tagged disney world, FastPass, Magic Kingdom, mymagic+, Photopass, tickets, WDW Resort by Kaitlyn Albone. Bookmark the permalink. I am a recent college graduate with a history degree and a creative brain. Though this is a strange combination, the result is me, a lover of books, stories, the past, the present and a constant need to learn something new. I love to travel, take a lot of photos when I do. I have a passion for music, theatre, literature,movies, writing, coffee. I am a fan of a lot of things, a member of many fandoms, if you will. I love Disney, Harry Potter, Nerdfighteria, Star Wars, Star Trek, Sherlock, Antiques Roadshow, Ken Burns documentaries. I like to think of myself as a bit of a hipster, but as I have admitted it, I think that makes me not a hipster, I don't really know. I hope to attract followers who find the world as interesting as I do. This has answered so many questions. My family went last year in August and plan on going next year. So much has changed in 6 months. I’m so happy to hear that we were able to answer some questions. This article is filled with info and straight from a Walt Disney World cast member too.